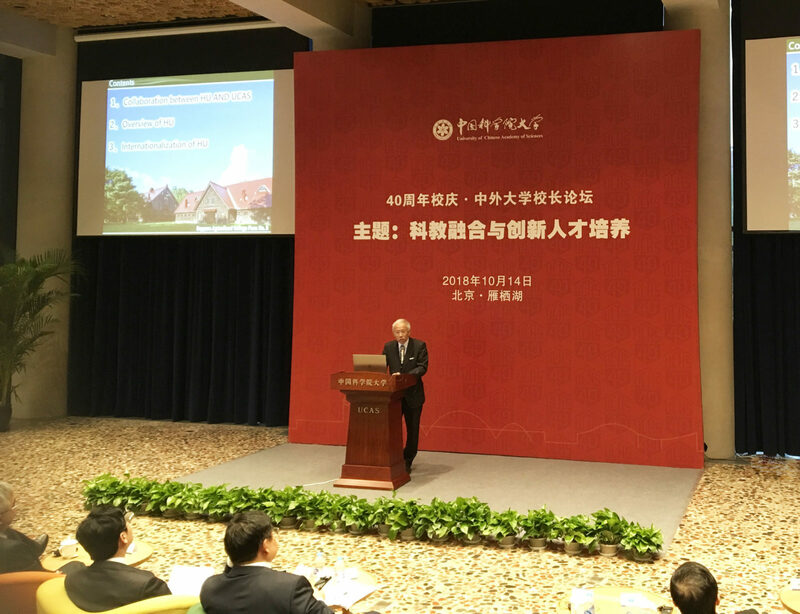 On October 14th, 2018, Hokkaido University (HU) Vice President Masanori Kasahara attended the 40th anniversary celebration of the University of the Chinese Academy of Sciences (UCAS) in Beijing, China. UCAS was founded in 1978 as China’s first graduate school. It is a prestigious university and currently has approximately 45,000 students. HU and UCAS have promoted collaborative relationships and student and faculty exchanges since they signed an Academic Exchange Agreement and Memorandum of Understanding on Student Exchange in December 2017. These exchanges led to the establishment of an HU liaison office on the UCAS campus in March 2018 and has helped HU establish the foundation to promote its education and research activities in China. UCAS has provided HU ample opportunities to further enhance its presence in China. 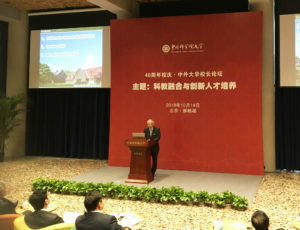 To express the university’s gratitude, Vice President Kasahara delivered a congratulatory speech on behalf of Hokkaido University. At the ceremony, presentations on fostering young talent and unifying research and education in the sciences were also made by representatives from each university. 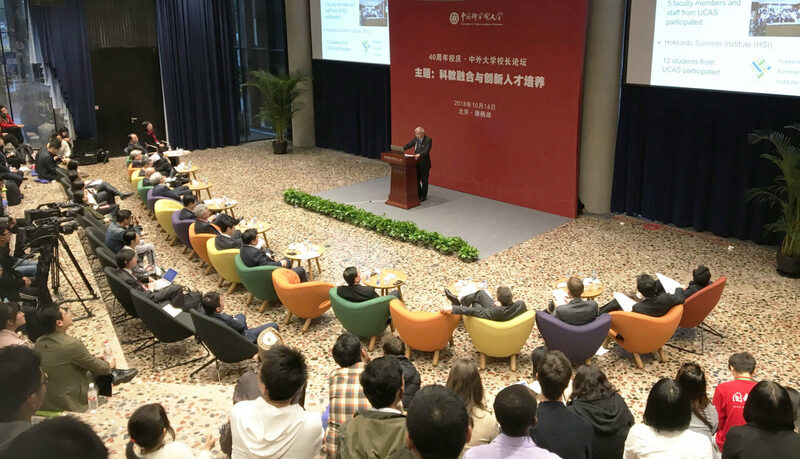 This includes Dr. Bai Chunli, President of UCAS, Dr. Wang Yanfen, Vice Chairman of University Council and Executive Vice President of UCAS, and Dr. Gong Qihuang, Vice President of Peking University. Vice President Kasahara stated in his presentation that HU will actively invite researchers and students from universities overseas and will continue promoting international exchanges through the Hokkaido Summer Institute.